He has extensive experience in advising Polish and foreign businesses. He was a Principal and the Managing Partner of the Warsaw office of international law firm Hogan & Hartson Jamka Galos sp.k. (currently known as Hogan Lovells), focused on PPP, project finance, infrastructure, energy, corporate, administrative and civil law, with a particular emphasis on contract law, public finance, public procurement, regulatory, offset, and anti-dumping matters. Aleksander’s experience includes projects involving the issuance of bonds and commercial paper in Poland, as well as project financing ventures in which he served as counsel to several of the largest multi-lateral financing institutions including IFC, World Bank, and EBRD. These projects were focused on local infrastructure in a number of Poland’s largest cities, including Krakow, Bydgoszcz, Szczecin, Wroclaw, Katowice and Poznan. In addition he has also advised international military equipment producers, and multi-million offset suppliers as well as one of the largest European motorway operators. Aleksander is highly experienced in dealings with the European Commission and governmental agencies. He was Director of the Office of the Head of the Council of Ministers. He also represented the Ministry of State Treasury in a dispute against investors in PZU S.A., Poland’s largest insurance company. 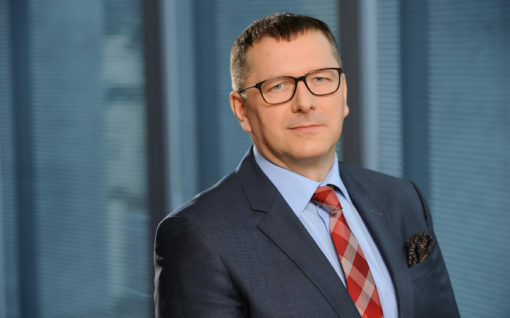 With his experience as a member of the Management Board of Eko-Park S.A., a renowned real estate development company, and as a member of many supervisory boards including Polish and international banks, Aleksander is able to apply his knowledge of law in business dealings, and is an expert project team manager. Before joining K&P, Aleksander was General Counsel at the Polish energy company PGE EJ1 Sp. z o.o., where he was responsible for relationships with major international energy groups in terms of project-related legal assistance. Among other things, he held ultimate responsibility for legal aspects of the planning and construction of the first Polish nuclear power plant. Membership: District Bar Association of Legal Counselors in Warsaw. Education: Jagiellonian University (Master of Law 1984, judge exam 1987); SGH Warsaw School of Economics (postgraduate studies in business administration 2010, postgraduate studies in accounting 2011); Academy of Energy, SGH Warsaw School of Economics (postgraduate studies 2017).